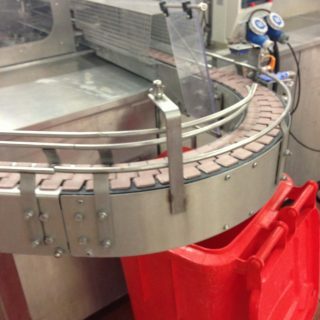 The go-to conveyor for the beverage and bottling industry, our slat & mesh conveyors are available in a variety of materials including acetyl, stainless steel or mild steel, manufactured to the highest standards. 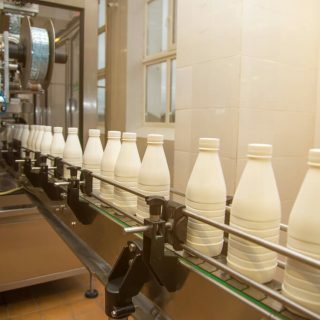 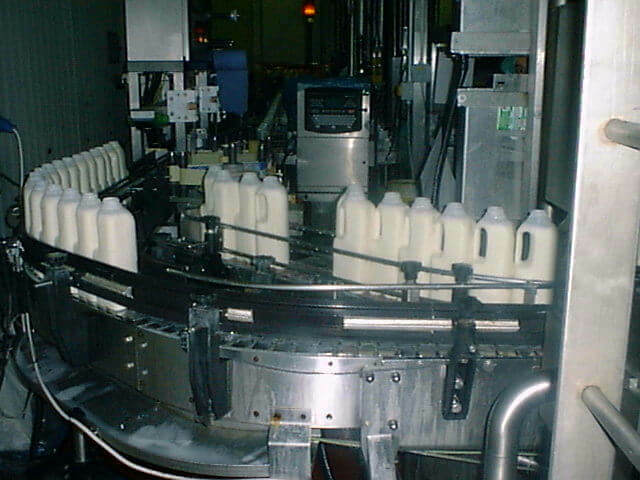 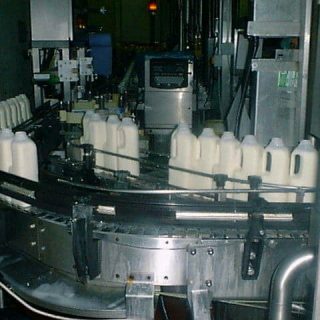 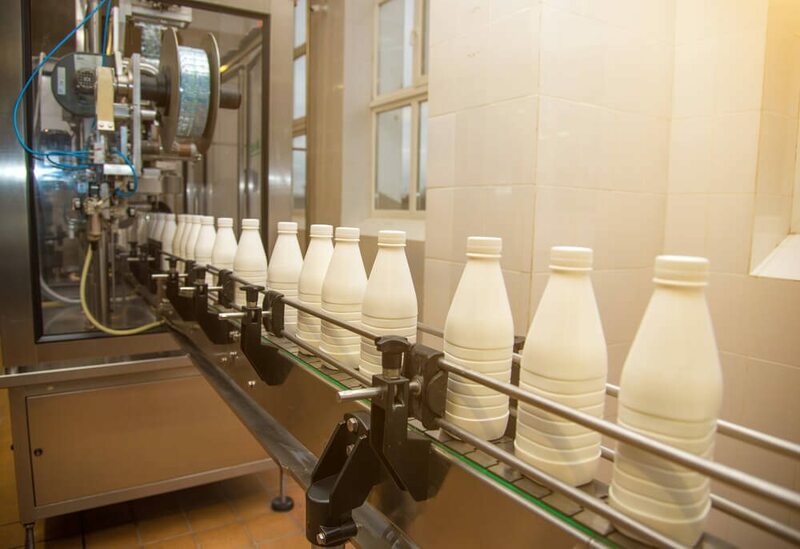 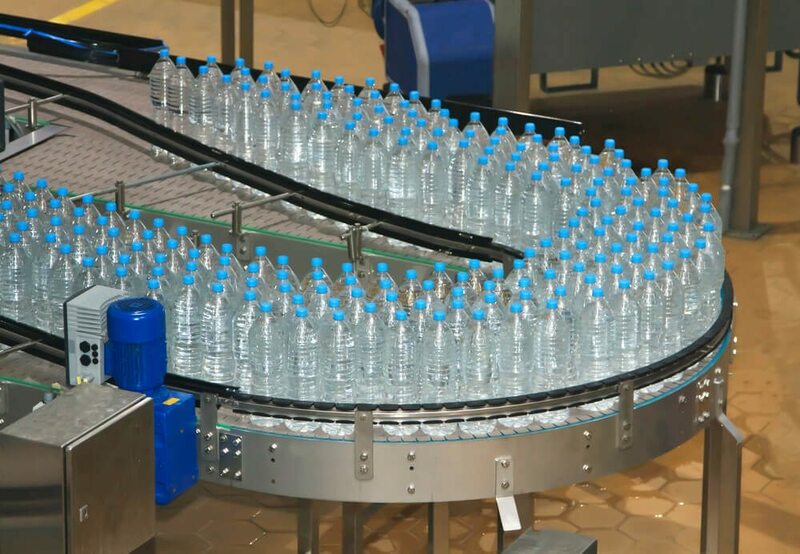 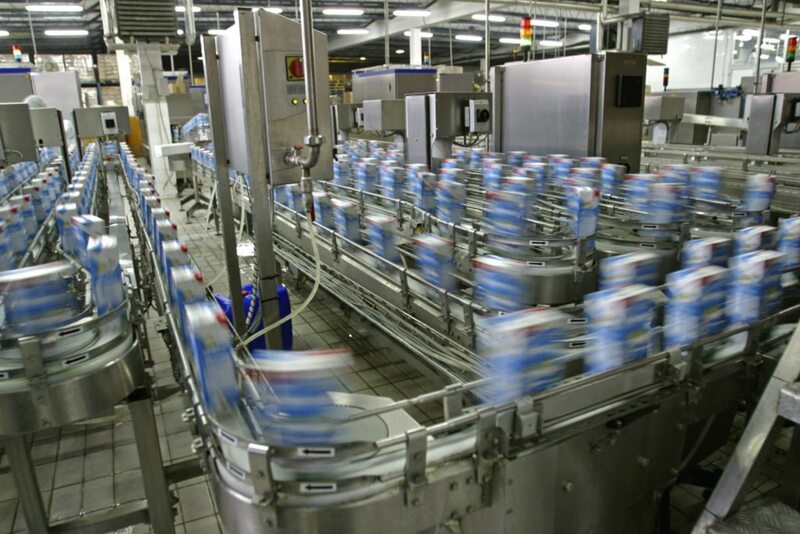 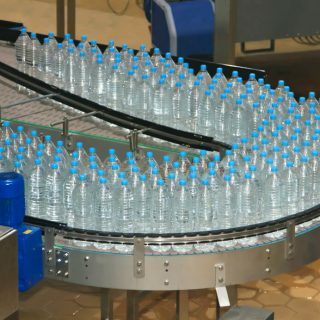 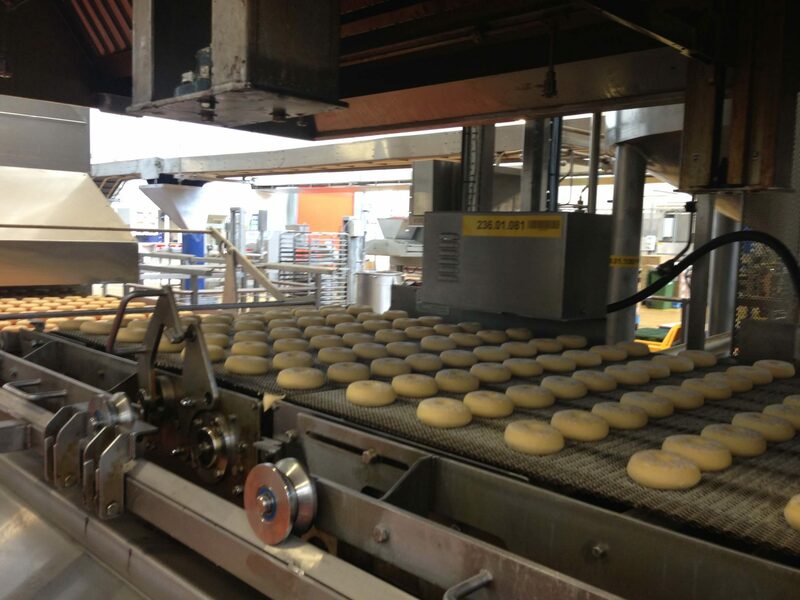 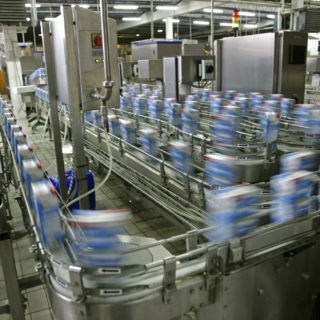 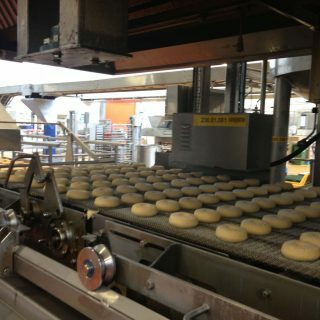 Slat & mesh conveyors are widely used in the beverage and bottling industries, as they’re very simple in design, and are robust and cost-effective to produce, install and maintain. 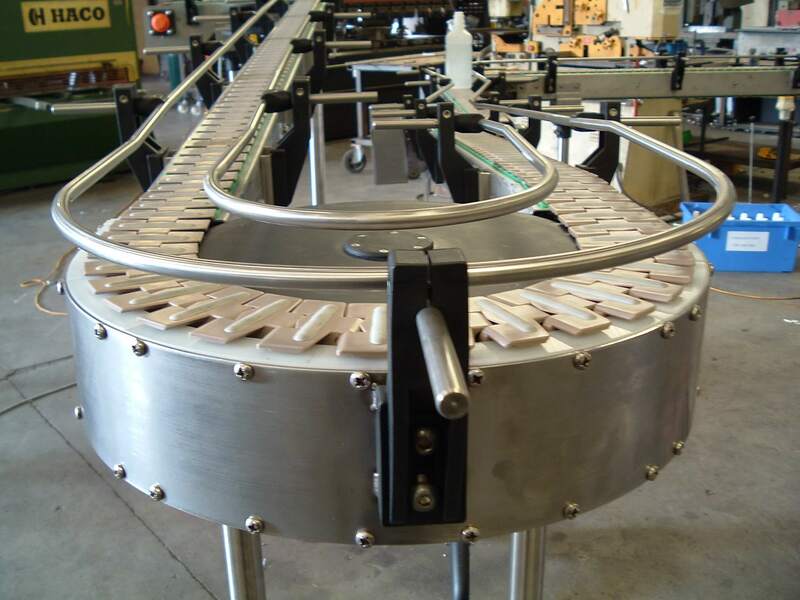 Our slat & mesh conveyors are available with acetyl or stainless steel belts, with frameworks provided in either mild steel painted finish or stainless steel finish. 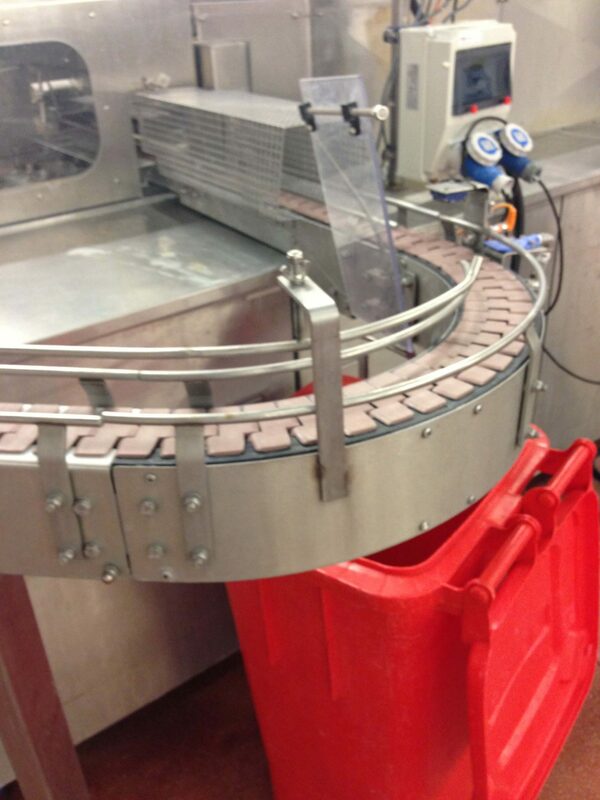 Our design office has vast experience in providing complex conveying solutions utilising slat and mesh conveyors. 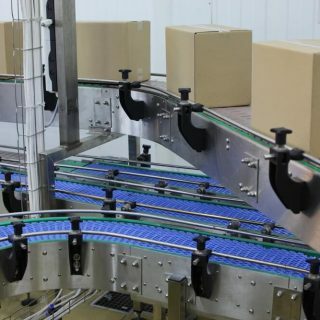 For some accumulation tables or for handling hot components, we are able to supply steel mesh, or steel honeycomb belts in either mild or stainless steel. 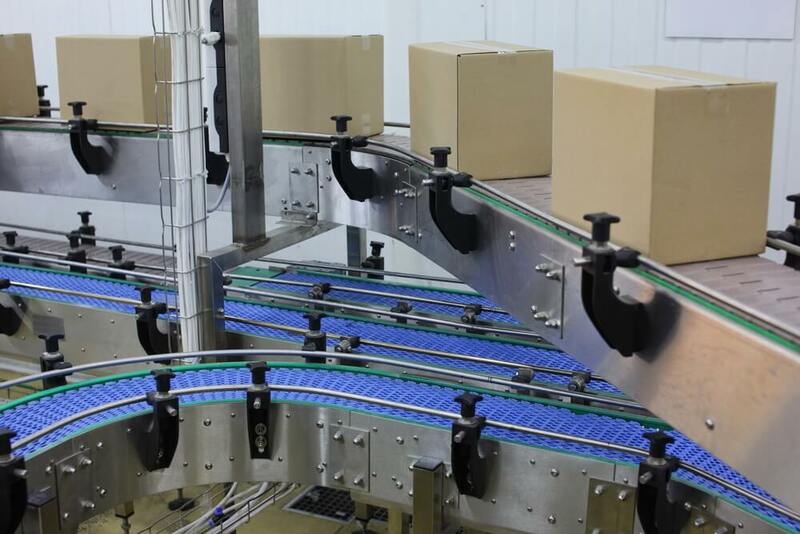 Slat conveyors are very versatile in their nature and not only transport products well, but accumulate products well too. 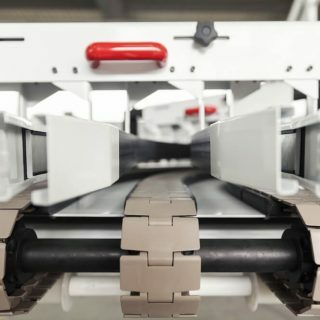 For buffer storage in filling lines, we can utilise slat conveyors for accumulation tables between pieces of filling process plant. 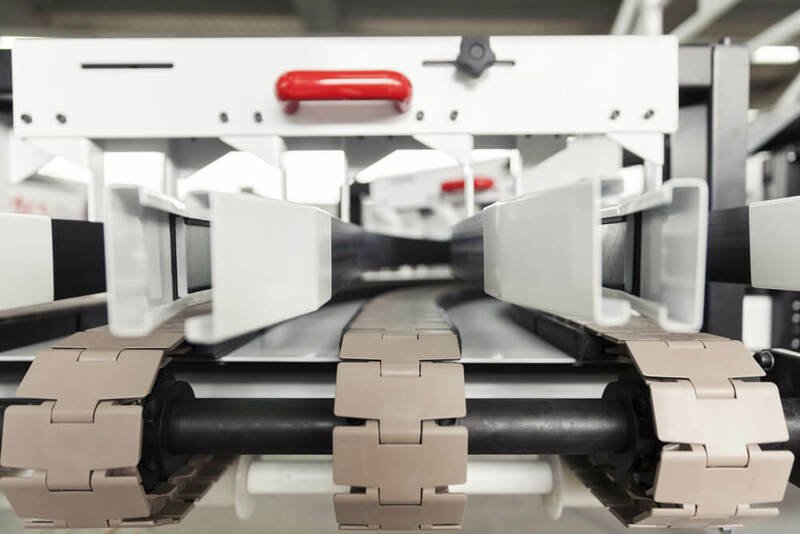 The modular nature of this conveyor means that large and complex conveyor layouts can be manufactured and installed in a very short space of time, and our expert team are on hand to make this a reality. 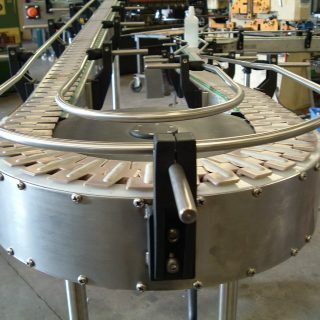 Slat conveyors also lend themselves to being easily reconfigured for alterations in plant and factory layout.